If you have been denied Social Security Disability benefits in Texas, call the Elliott Law Firm today at (903) 567-6622. Statistics show that you greatly increase your chances of getting benefits if you hire an experienced Social Security attorney to handle your claim. The Elliott Law Firm has been assisting people in getting the benefits they are entitled to for many years. 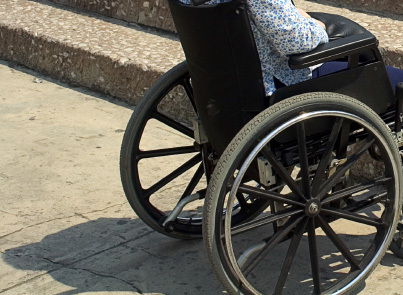 Since 1999, our team have helped hundreds of claimants win Social Security Disability (SSD) benefits and Supplemental Security Income (SSI) benefits..
We’ve won cases for clients throughout Texas. If you live within a 100 mile radius of our offices in Canton or Dallas, then call us today to get started. We do not charge a fee unless we win your case, so you have nothing to risk by working with us. Don’t wait until it’s too late. There are many time sensitive deadlines concerning your application for benefits so it is best to have someone protecting your interests as soon as possible. If you have been denied, call us right away at (903) 567-6622. What are my chances of receiving benefits? What if my appeal is rejected? Every case is different, so call us today at (903) 567-6622 for a free consultation. We will answer your questions and help you get the benefits you deserve.